Forgot your password? 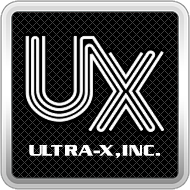 – Ultra-X, Inc.
An email will be sent to the email address you provided which will allow you to reset and create a new password. Be sure to add noreply@uxd.com to your whitelist contacts in order to avoid any emails from Ultra-X CloudOne being moved to the Junk or Spam folder.